Cyprus is my home. It is also the 3rd largest island in the Mediterranean Sea. 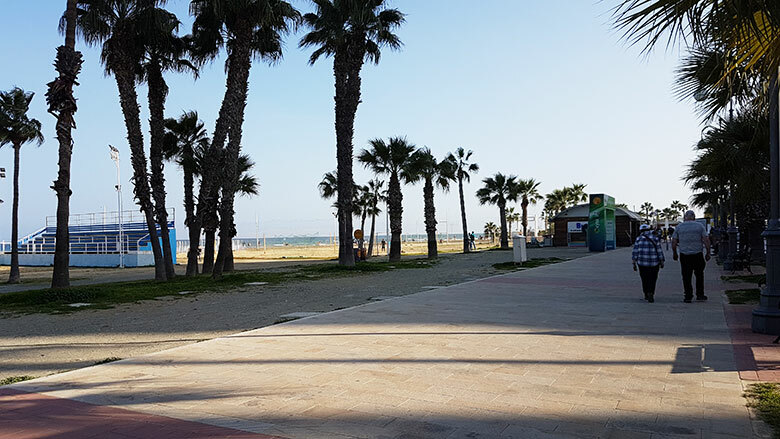 Larnaca is just one City on this picturesque island which is found on the seaside to the south of the island. This breathtaking island has so many wonderful things to offer locals and tourists alike. The enchanting culture and architecture along with the mythical and historical stories told here, is something you don’t want to miss out on. So come and check out the top 10 things to do and see in this gorgeous city! This has to be one of my favourite places to visit. I love how the church is built with lime stone and has a Gothic feel to it. It dates back to late 9th century and has changed from a Greek Orthodox Church to Roman Catholic to a Mosque back to a Greek Orthodox Church. The church was built on top of Saint Lazarus’ tomb. The history and story here is that Lazarus (friend of Jesus) died and rose from the dead. He lived on for another 30 years and when he died the second time they buried him there under the church in his tomb. The interior of the church is full of intricate detail of wood carvings and gold details, especially on the religious icons that are all pieces of artwork! Oh and be sure to check the church out at night when the lighting is so magnificent I just draws you in! It is believed to have been built in the late 12th century AD and you can find it near the Marina (Harbor/Port). This fort was of great significance back in the day as Larnaca became very important and busy due to the port and therefor needed a form of protection just like that of a fort! During the 13th century there was an upgrade to the building itself but by the 18th century the fort started to loose importance as there was less and less need to protect the city. The use of the fort then became a prison by the British rule and later on when the Cypriots took back the fort; they too used it as a prison. Nowadays you can visit this magnificent fort as it is a museum! It has been preserved and you are able to see pottery, weapons and wall paintings. There are rooms but also a courtyard which can hold up to 200 people. This majestic fort is also breathtaking at night with all the spotlights around the high walls! It too is a must see at day and night! 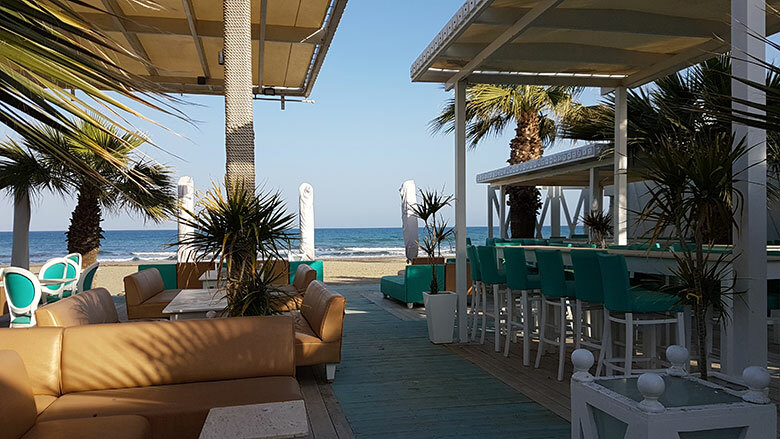 The small serene marina is found at the bay of Larnaca. On the one side of the pier is where vessels moored and on the other side is where the day trip boats anchor until their next sail! It is nothing grand but it is tranquil and a nice walk up along the pier. 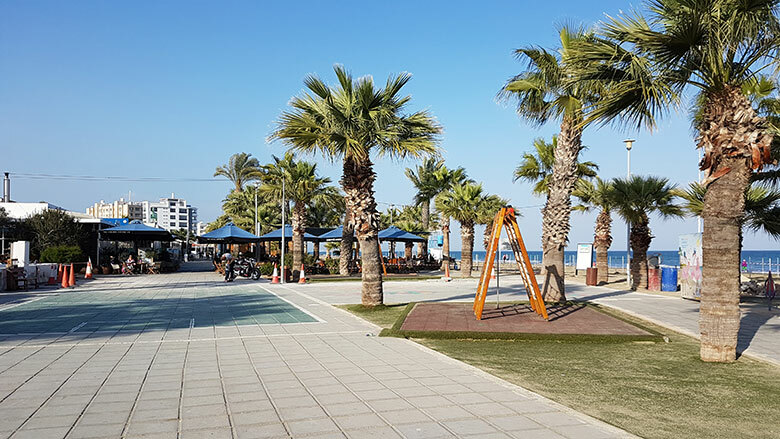 The Marina is at the beginning of Finikoudes promenade so there is a lot more to see once you walk up the lined palm tree promenade walk. Promenade – here you will find restaurants, cafes, bars, shops and hotels. 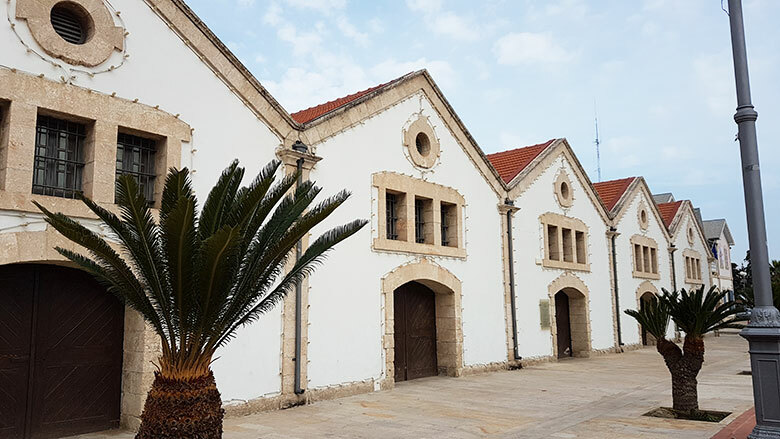 At the start of the promenade you will find the main Police Station, walking further down you will come to some preserved buildings which have been converted from old warehouses to Government Offices and also a Municipal Art Gallery. 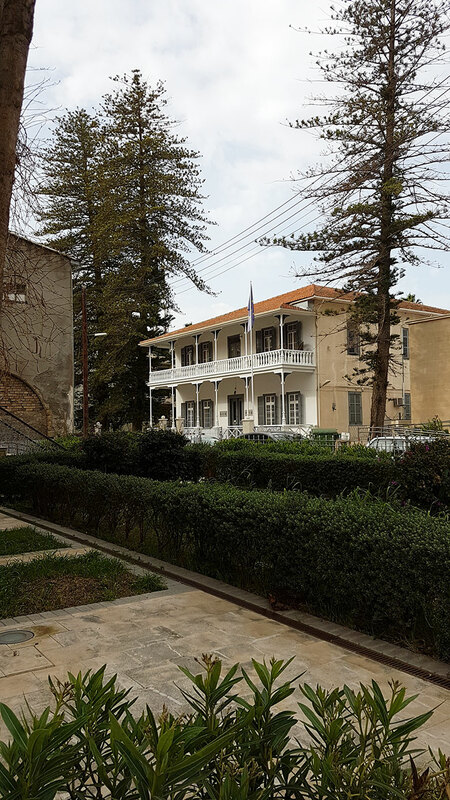 The art gallery is open to all and it showcases Cypriot artists. In front of these buildings is the ‘Europe Square’ where it showcases a spectacular fountain with the sculpture named ‘Seagulls in Flight’. Many events are hosted here and all along the promenade, so if you’re lucky and in town for any of the events held here be sure to visit. 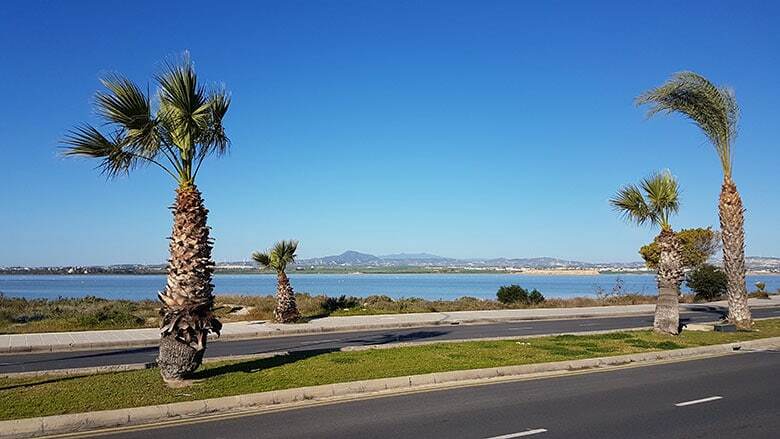 Beach – Finikoudes beach is all along the promenade starting from the marina all the way to the Medieval Fort. It has calm and shallow water and the finest sand you have ever seen. There are public toilets, showers and changing rooms and also perfect sunbeds and umbrellas to protect you from the scorching hot sun! Zenobia Wreck is an actual ship wreck off the coast of Finikoudes Bay. 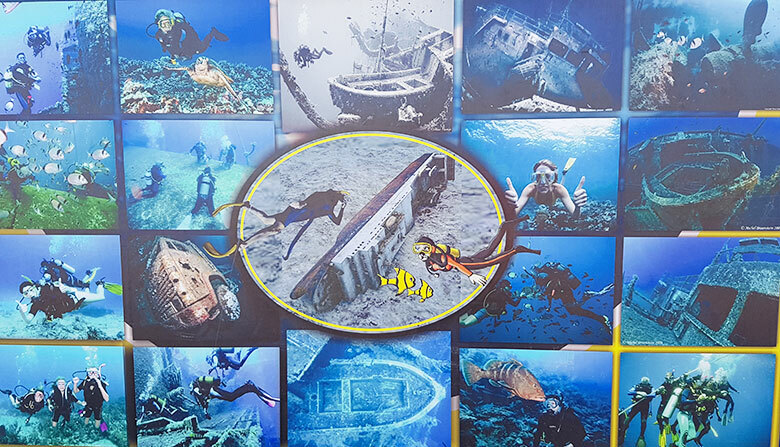 You can either take a trip with a glass bottom boat to see the ship wreck below or for those more adventurous you could go diving around the shipwreck. This ship was a Swedish Challenger that capsized and sank in 1980. The location of where it sank was actually in the top 10 ‘wreck diving’ sites in the world. 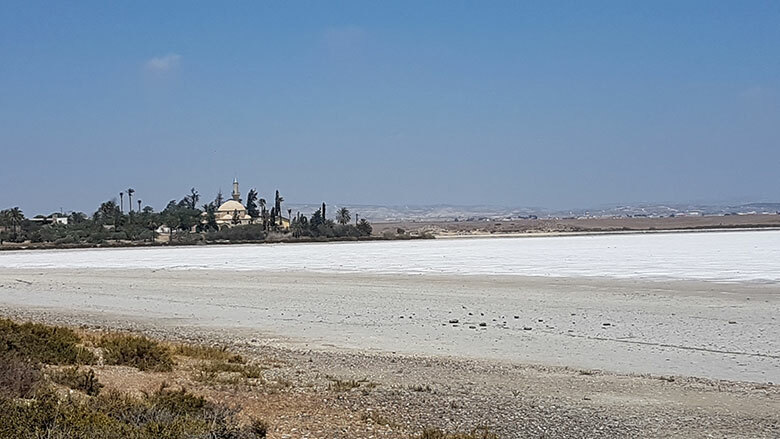 Aliki salt lake is further out of the city center and is near the Larnaca International Airport. 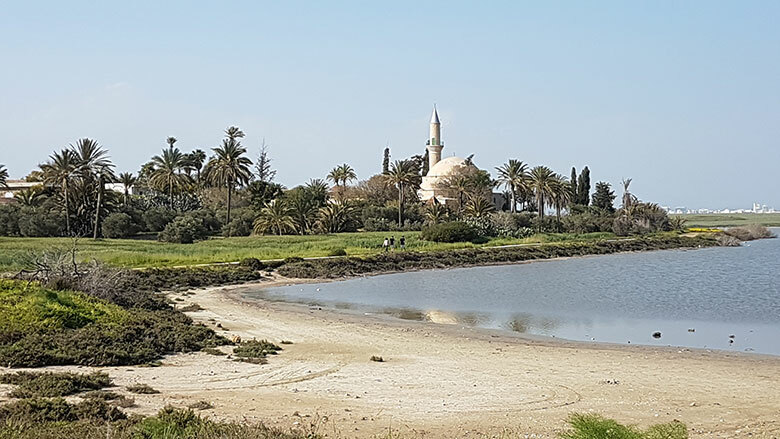 It is the second largest salt lake in Cyprus and considered very important wetlands that accommodate migratory birds such as the pink flamingos. 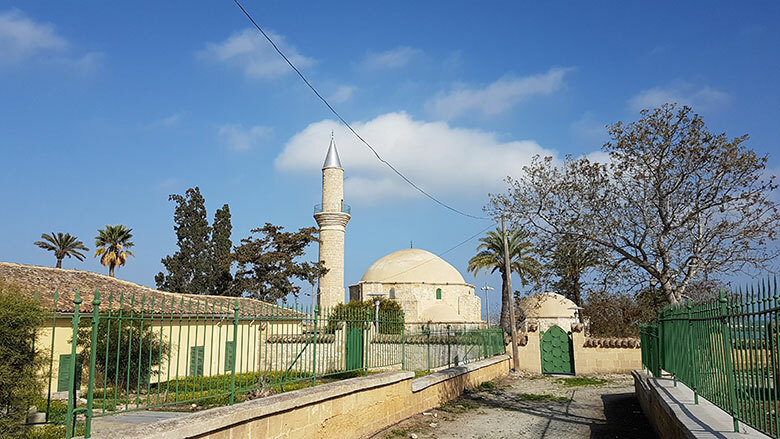 Hala Sultan Tekke is a Mosque along the side of the Aliki salt lake. It was voted as the 3rd holiest place for Muslims in the world. The views of the salt lake there are serene and beautiful. 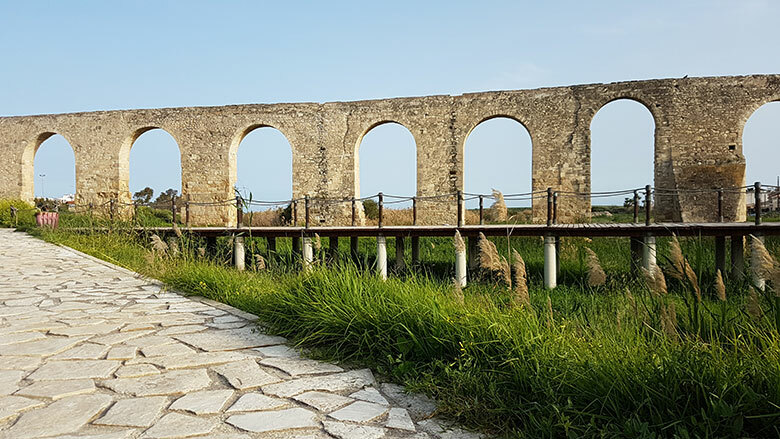 One of the most intriguing structures in Larnaca is this structure that consists of a total of 75 arches. 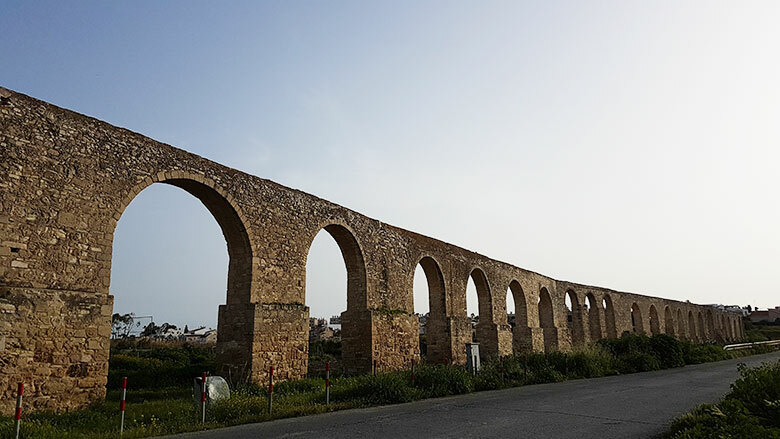 You can only see 33 arches in the Kamares area but this structure continues under the houses and land towards Dromolaxia area. If you take the old road and not the freeway to Dromolaxia you will see parts of this structure poking out of the land in areas! 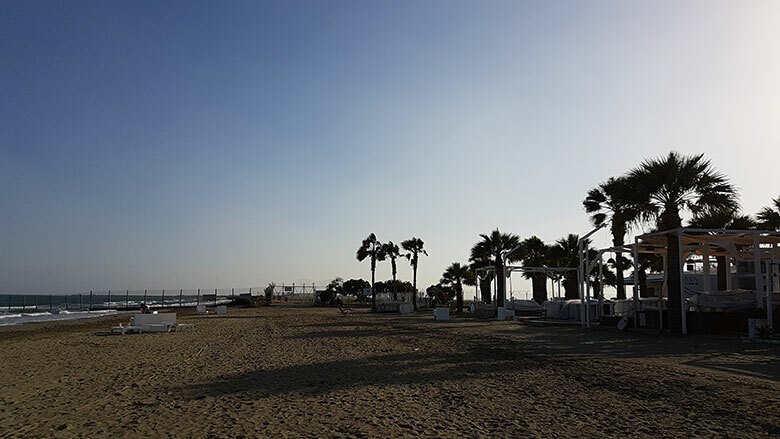 This beach is located right next to the Larnaca International Airport. It is beside the runway and also the old building. I love just lying on the crystal white sand watching the planes land every minute. Along the McKenzie promenade you will find restaurants, bars, cafes and public toilets and showers. However, when night falls, this area changes and become THE place to be for night life. The bars turn into open air clubs with no entrance to pay. All you pay is for your drink! The best thing about this is that if you don’t like the music of one club you just walk on over to the next one! 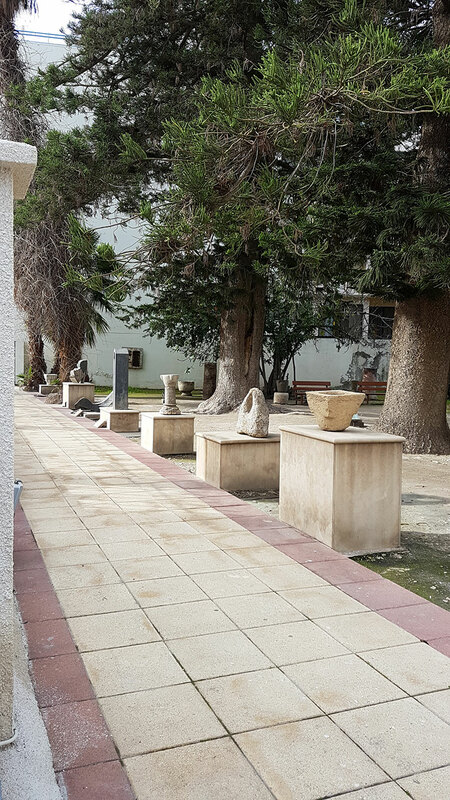 Visit the museum which is founded by the Pierides Foundation in 2013 and is one of the oldest private museums in all of Cyprus. 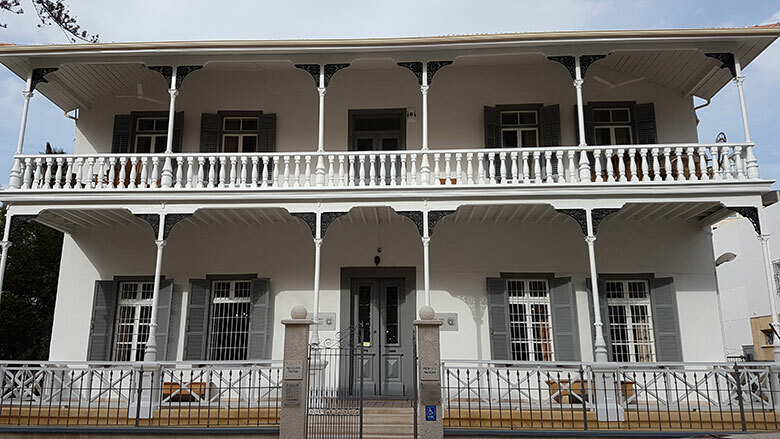 It is housed in part of the Pierides preserved family home and you will find old maps, statues, jewellery, utensils, pottery and many more items from all different eras. Even their beautiful garden to the side of the building showcases a few sculptures for everyone to see. Entrance is only a few euros and is very near to the Finikoudes promenade. 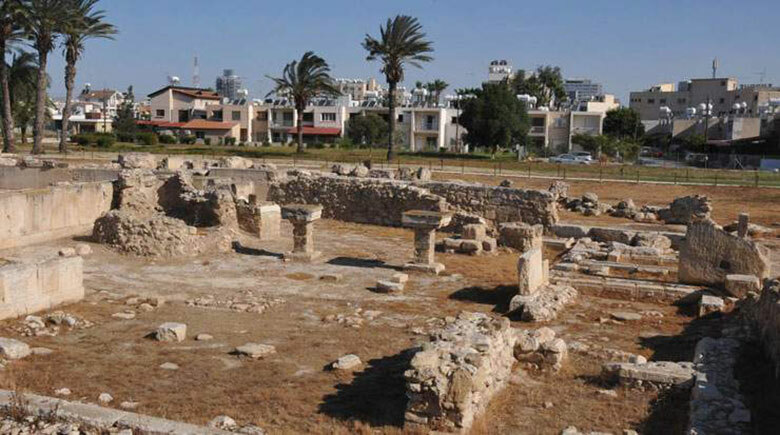 Kition was the name of Larnaca back in the day. 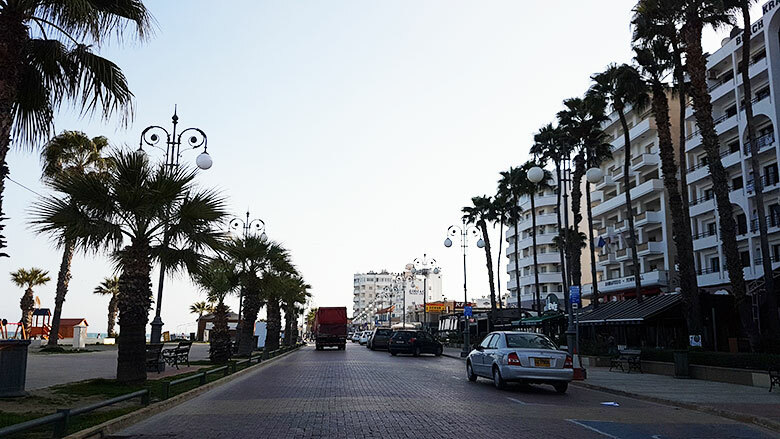 Larnaca has changed so many names over the years that finally they stayed with the name Larnaca. The archaeological site was excavated back in 1929 and is dated back to the 10th Century BC. It consists of 4 sites and two of these sites have different founded dates. The site of ‘Kathari’ is dated back to the 13th Century. While the site ‘Bamboula’ dates back to the 10th Century BC. This is one archaeological site you will want to see and it is only a few euros to enter! Here you have it! 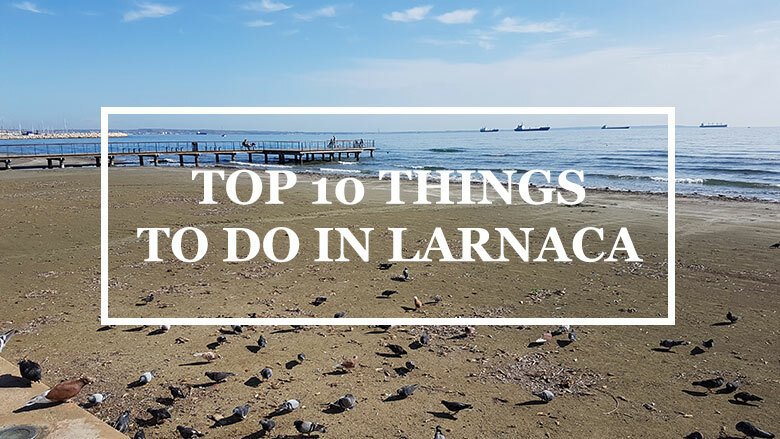 The top 10 things to do in Larnaca Cyprus! What do you think of these? Where would you go to first from the top 10 on my list? I love hearing your thoughts and connecting with you all! Cyprus looks amazing. I want to see many of these beautiful places in person. I hope that someday soon you will have the opportunity to come and visit this beautiful island I call home! Cyprus, such a great land. Plenty of cultural heritage from the past time. You’re lucky to have been there.. I am very luck to be living here! It’s such a small island and yet I have not explored it all yet! Hope to someday explore the whole island. My son will be gracing your beautiful island with his friends in a few months! It looks amazing, I would really love to visit one day. For now, I will just continue to dream on. Beautiful pictures by the way! I really hope he has a great time here! If you need any more tips on where to go what to see, send me and email and I’ll give you a few more ideas. You may come sooner than you think anyway so don’t stop dreaming! Wow! What a beautiful place! I have to add it to my bucket list. Your pictures were so inviting. Thank you for your kind words! I am so glad that you loved reading this and that you find my country beautiful. I hope to see you some time here in Cyprus and don’t forget that you have only read about one city in Cyprus. 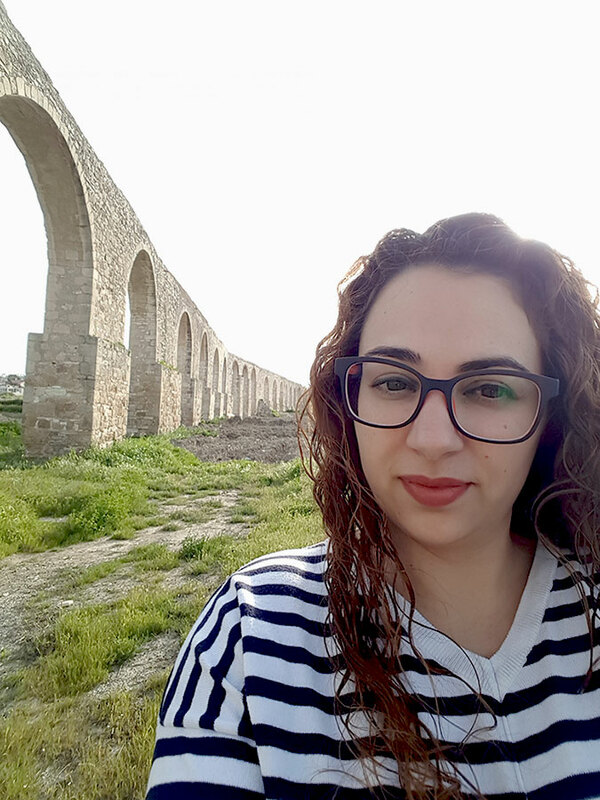 There is so much more to see and do here and I hope that in time I will be able to show you all what Cyprus has to offer! I will definitely add this to my bucket list to see. Beautiful pictures. I am sure you will love it here! If you are ever in Cyprus give me a buzz! I am glad you liked my top 10! There is a lot more that you can do and see here in Larnaca and in Cyprus for that matter. I hope you can visit one day and see all these places for yourself. If your ever in Cyprus, let me know! This is such an informative post. Love it! Also, D, the picture of you is fantastic. You look so beautiful. I’d say #skingoals and sheer perfection! I would love to meet you in person too! If your ever here in Cyprus let me know and I could show you around!